Cyrus Sutton is an independent creative whose talents in media production have allowed him to work with many influential people and garnered him a coveted Emmy award at 23 years old. 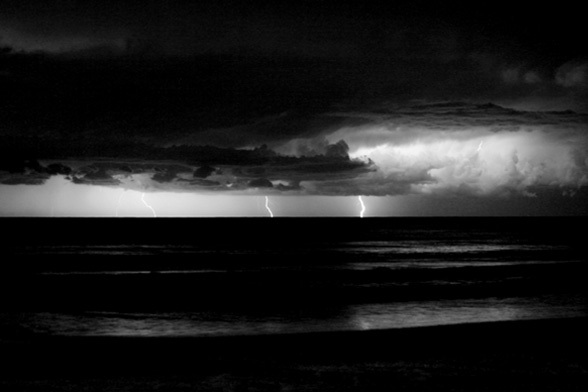 This lightning shot was taken at 11pm in Yamba, NSW Australia in 2006. He was sitting on a warm, dry, sandy beach watching a brilliant lightning storm drift just offshore and never felt a drop of rain in the two hours he sat on the beach and watched.